Keeping warm out there? Have you started the New Year curled up with a good book? I hope so! 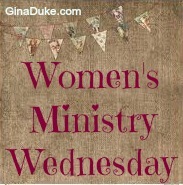 Speaking of books, welcome to Women’s Ministry Wednesday! 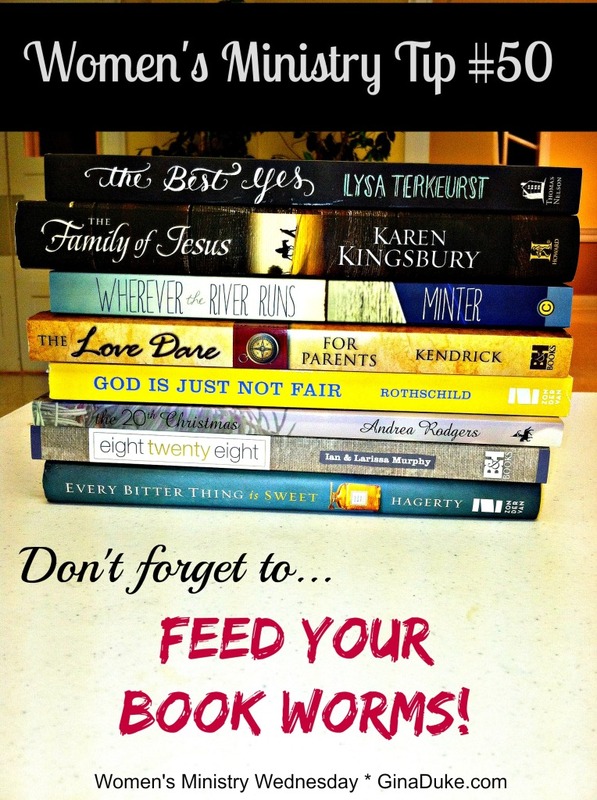 My tip for you today – don’t forget to feed your bookworms! I personally love reading Christian books, and thankfully there are so many good ones out there these days. We live in a time where many Christians are writing some really good content, both fiction and non-fiction. I wish I could get to all of them, but I neither have the time or money. Enter a church library. If your church has a library, be sure to either use some of your women’s ministry budget or your church’s library budget to purchase good quality Christian women literature for your women. 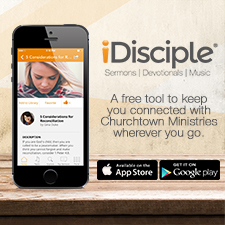 If your church does not have a library, consider starting your own informal one. Try to keep a good balance of books that will appeal to the diverse group of women in your congregation. You may purchase a new book each month or several at a time. Make sure to advertise your new arrivals in the library, and let the reading begin! Your book lovers will love you for it. Oh, and by the way, you are looking at my 50th Women’s Ministry Tip from Churchtown Ministries! To see the others, click here. This week I am linking up with HolleyGerth.com, ChristianMommyBlogger, Giving Up on Perfect and FaithAlongtheWay. Check out this page for a full view of all of my preferred blog parties. I am reading the Best Yes right now. I love books and I can thank my parents for that. Many of my childhood years we had no TV, a choice my mother made for us. So, we read. She read to us. I am usually reading 2 or 3 books at once. So.. I love your advice. We need to feed our souls. Thanks for sharing! Blessings! Thanks for sharing these! I’m always looking for something new to read. I also am currently reading The Best Yes. Wonderful book. I will check out some of the others you mention. Women sharing books and sharing inspirations always winds up being this amazing blessing… our church does a book club, and it’s great to connect over powerful reads. No one goes home empty but soul-full. Thanks for sharing! I’m interested to learn more about these books. I just came across the Love Dare for parents and it sounds interesting to me, but I haven’t started it yet. Thank you for the recommendations. I’m pinning them now! I too love books,my library growing by the day, whether paper back or eBook, or audio for that matter. I am increasingly enjoying audio books. I’m currently reading, Becoming Myself by Stasi Eldredge.